Flashbay's leads times, the time from order to delivery, are the fastest in the world and legendary within the industry. Most of our products are available on a 6 working days lead time for orders between 10 and 10,000 units. 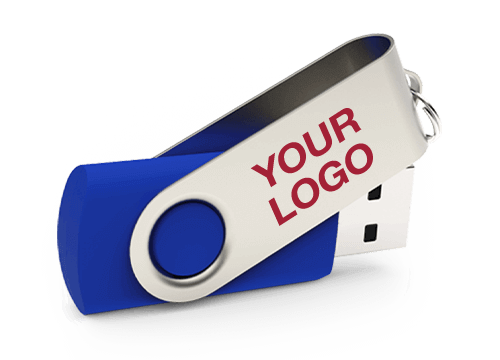 Friday, April 19, 2019 You place an order with Flashbay for Twister USB Flash Drive, printed with your company logo and preloaded with your company data for example. Monday, April 22, 2019 Sub-components of your order are collated, in preparation for production. Tuesday, April 23, 2019 Sub-components of your order are collated, in preparation for production. Wednesday, April 24, 2019 Products are Assembled and Branded with your artwork. Thursday, April 25, 2019 Your order is Quality Controlled and Booked in for shipment. Friday, April 26, 2019 Order in transit from Factory. Monday, April 29, 2019 Order Delivered with you.